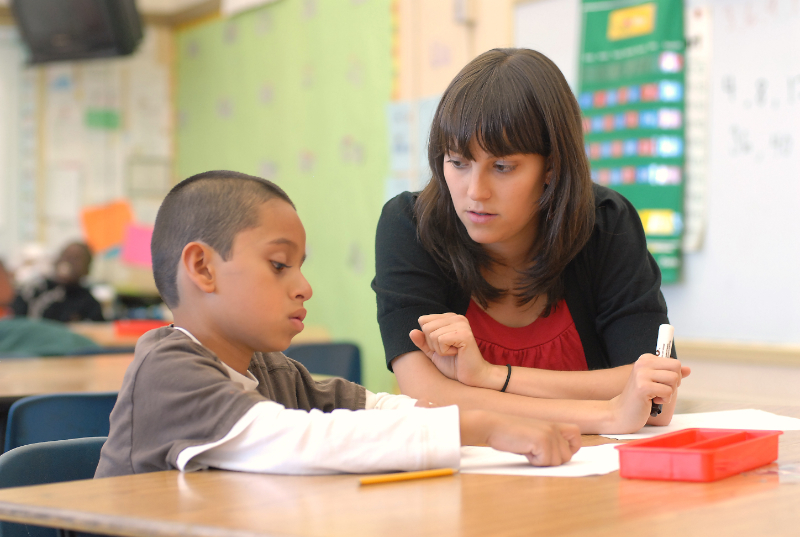 Teachers have valuable insights about how policy plays out at a school-site level. However, in order to share these insights to impact district level policies, one needs an understanding of the role of various leaders in creating and implementing policy. 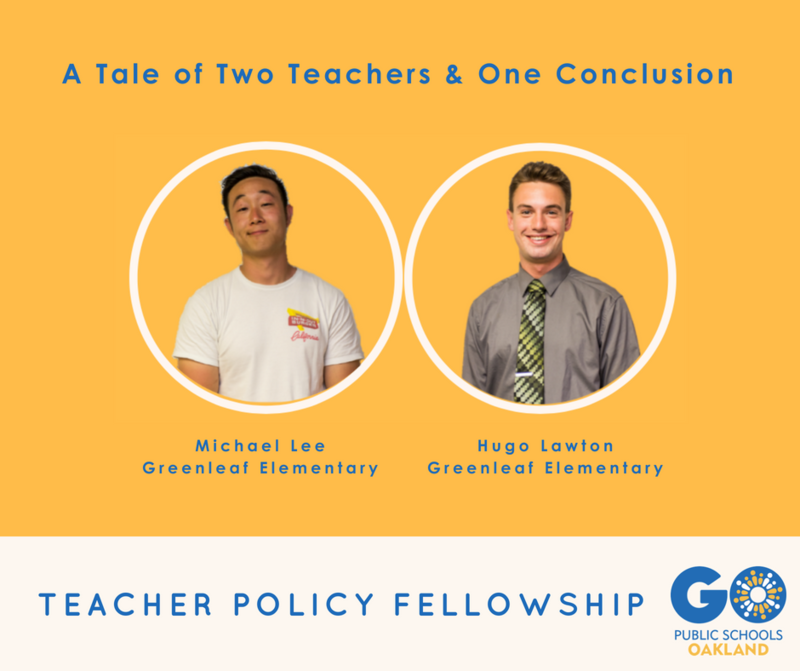 This year, the GO Teacher Policy Fellows wrote two policy proposals around teacher leadership pathways and new teacher support. We sought out a variety of stakeholders to share our policy proposals with the hopes that they would be reflected in the next teacher’s union contract. First, we presented to the district bargaining team and teacher’s union bargaining team while they were seeking out teacher voice to inform their initial proposals for the next round of bargaining. We also presented our proposals to the School Board at a public meeting and reached out directly to School Board members to share our experiences and hear their opinions on our proposals. Although we did not connect with charter management organizations for this campaign, we have included them in this post to give a full picture of who one might need to engage when seeking policy change in Oakland. Here’s a brief overview of some of the policy makers you can engage in your work to increase support for teachers and improve student outcomes. The superintendent is the CEO of the school district. The superintendent makes recommendations to the board based on the needs of stakeholders (students, families, teachers) while also implementing the board’s decisions. Dr. Devon Dillon is the current interim Superintendent and Dr Kyla Johnson-Trammell has been named the finalist for Superintendent, it is expected that her appointment will be finalized this summer. School Board members are elected by the public xevery four years and can be re-elected. Prior to GO being founded in 2010, there were few contested school board elections in Oakland. School Board members receive a stipend and generally hold full-time jobs. The School Board hires, supervises, and evaluates the Superintendent. The board adopts policies and manages budgets. A recent policy established OUSD as a Sanctuary District; a recent example of budget management is this year’s Spending Limitation Protocol. The Board of Education engages in collective bargaining with the various unions that represent OUSD employees. OUSD is a medium-sized district serving about 49,000 TK-12 students (about 37,000 attend schools managed by the district). 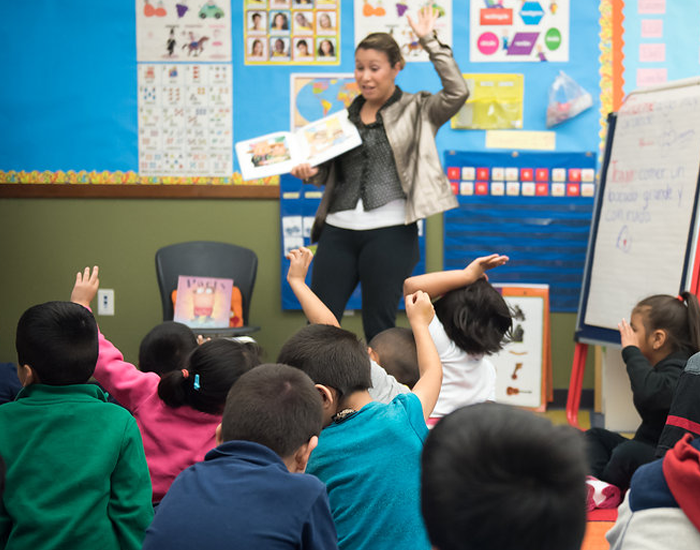 OUSD is still recovering from a relatively long period of financial turmoil. At its lowest point in 2003, OUSD received a $100 million emergency loan and was taken over by the state. According to GO Oakland’s Budget Fact Sheet, OUSD had a budget deficit of approximately $8-10 million for the current school year. It is estimated that OUSD could cut more than $23 million from next school year’s budget. Many of these cuts are to the central office, with some direct effects on students and school sites. Teachers employed by OUSD are represented by OEA. The OEA President appoints the Bargaining Team who collectively bargains the contract every 3 years. The contract generally covers salary and working conditions. GO Oakland’s Contract Matters series lays out the process of teacher’s contract negotiations. 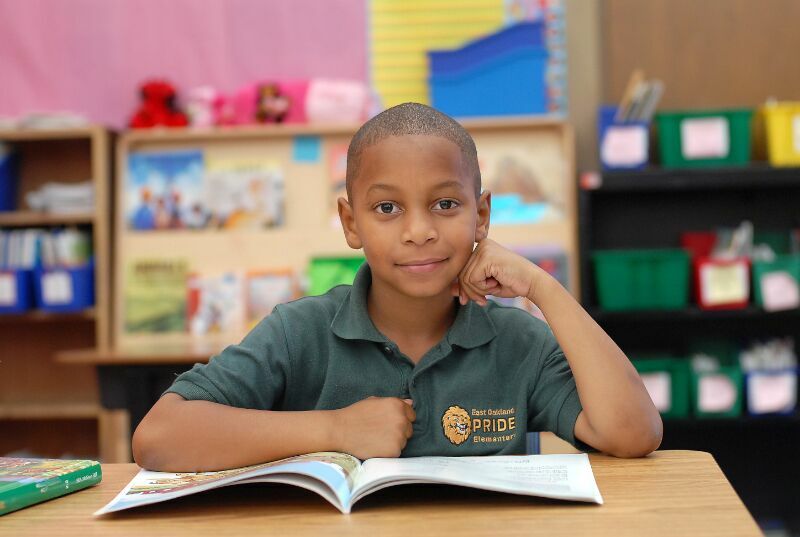 In addition to the 86 district managed schools, more than more than 1 in 4 Oakland students in oakland attend one of the 37 public charter schools. Some of these schools are standalone, and others are part of Charter Management Organizations (CMOs) that operate multiple schools. Charter schools are public schools that are not managed by OUSD. Each charter school is reviewed annually by OUSD’s Office of Charter Schools must be reauthorized by the Board of Education every five years.